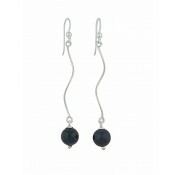 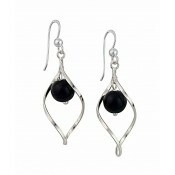 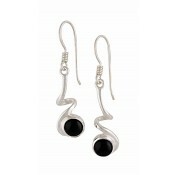 With bold contrasts, these charming dress earrings slip into your existing jewellery collection with ease. 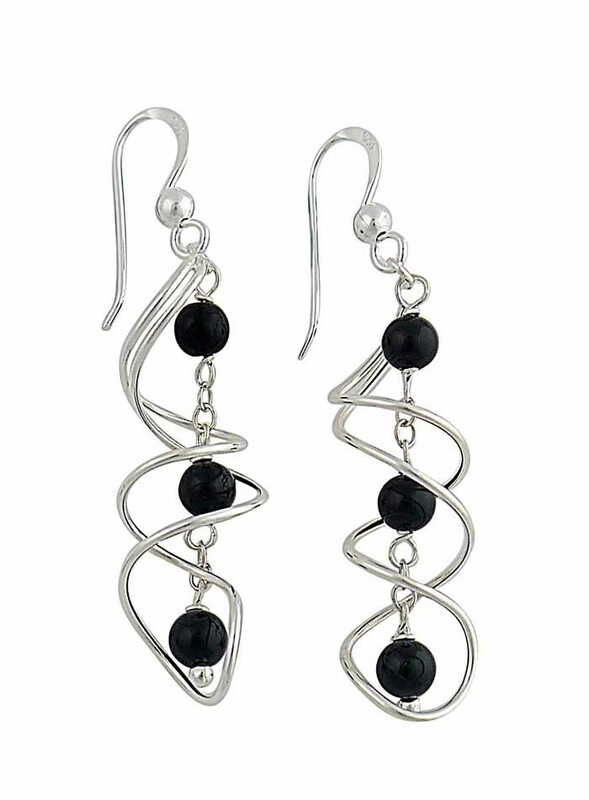 The polished sterling silver swirl bar has been paired with small black onyx stones in an almost mythical design. 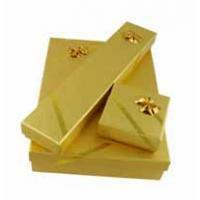 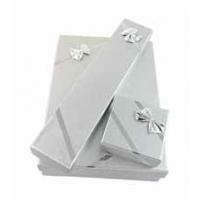 Slipping through the lobe with hook fastenings, they make a truly thoughtful gift for someone loved and cherished.